This month we've got a new feature, a contest to challenge your imagination. We'll set the theme, you let your inspiration loose and submit your entries during the month. In next month's issue we'll show a shortlist for you to vote on. 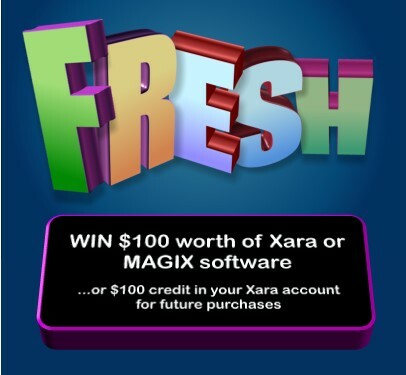 It's for the entertainment of your fellow Outsider readers and of course the glory - but we've also added an incentive in the form of Xara or MAGIX software of your choice up to $100. More info below on this month's challenge. This month's Outsider focus is on 3D. Of course this used to involve Xara3D, but now we've built the same 3D extrude technology into Xara Xtreme, so you can now create realistic 3D objects from any vector shape. The quality of the shading and lighting is way above that from any other illustration software, not to mention that it's a whole lot faster and easier. Check out the tutorials which include the .xar files for all the examples. Also this month our parent company MAGIX has launched a German language version of Xara Xtreme (called MAGIX Xtreme Foto & Grafik Designer v2 - but it's almost exactly the same product as Xara Xtreme 4). There's a launch offer too! See right for more information. Take a closer look at this wonderful series of 'Faux' covers from forum poster MarkMyWords, an affectionate take on those over-the-top covers of the late '30s and the '40s. Mark's style is cleaner and simpler than the original style, but retains a definite retro feel and successfully manages to emulate their "over the top appeal to emotion". Our contest theme this month is 3D, of course! So any Xtreme image featuring the 3D graphic prominently - it could involve text or photos like our tutorial examples (or for truly inspirational examples from a 3D master check out the 3D text examples on Shiny Binary - Nik Ainley used Xara3D, but now you don't need to!). But the choice is completely yours - the only rule is that it must be created by you in Xtreme and submitted at the page below by 18th July. You are subscribed to the Xara Outsider newslist. To change this visit xara.com/news. Back issues at xara.com/outsider. Let us know if you have any suggestions on how we can improve the Outsider Newsletter. Contact us. More great reviews for the new Xara Xtreme v4! “Fast and inexpensive, Xara Xtreme Pro 4.0 is an excellent choice for print and web designers on a budget - or a deadline.” Read the full review. Our parent company MAGIX has launched V2 of the German language MAGIX branded version of Xara Xtreme, and if you order before the 26th June there's a €15 saving! Jetzt zugreifen und €15 sparen! A short cut to setting the color of the side of an extruded object, is to just drag and drop a color from the color line onto the side of the 3D object. A really quick way to edit any 3D light color is to just double click on it (obviously you need to Show Lights first, click on the lightbulb icon). 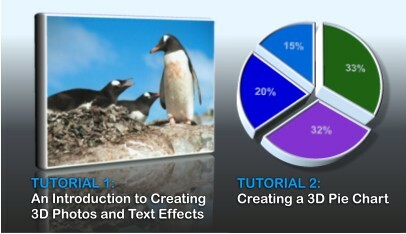 We've made the chapter from the manual on the 3D Extrude tool available as an online Google Doc. Read the Extrude chapter online. Should Yahoo have sold to Microsoft?